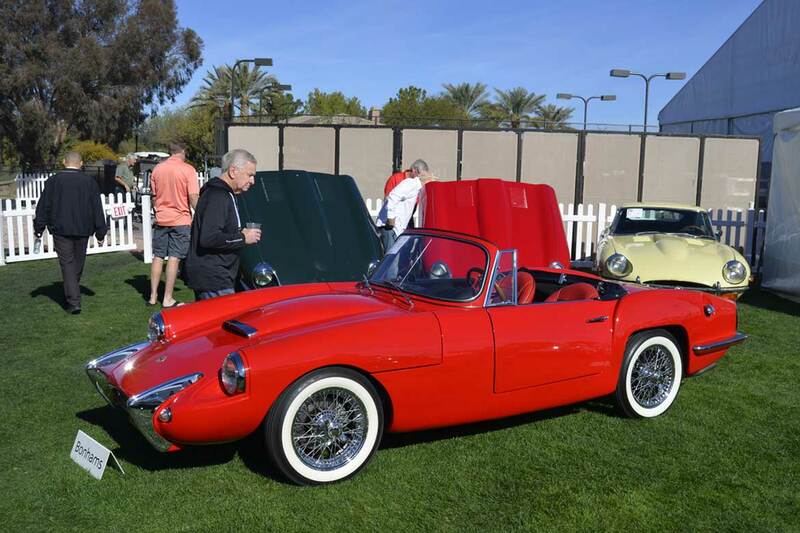 Before I saw this red Sabra Sport Roadster at Bonhams’ collector car auction in Scottsdale, Arizona this January I had only seen one other. It was 2005, I was working as an SCCA worker on the false grid at Road America in Elkhart Lake, WI during the Brian Redman International Challenge Vintage Race weekend when a little roadster, the likes of which I had never seen, rolled up to the grid. My father happened to be at the races that year and when I walked over to him and said ‘WHAT is THAT?’ He replied, “Well, it looks like a Sabra. Sabra means ‘born in Israel,’ they’re Israeli”. And he was right. 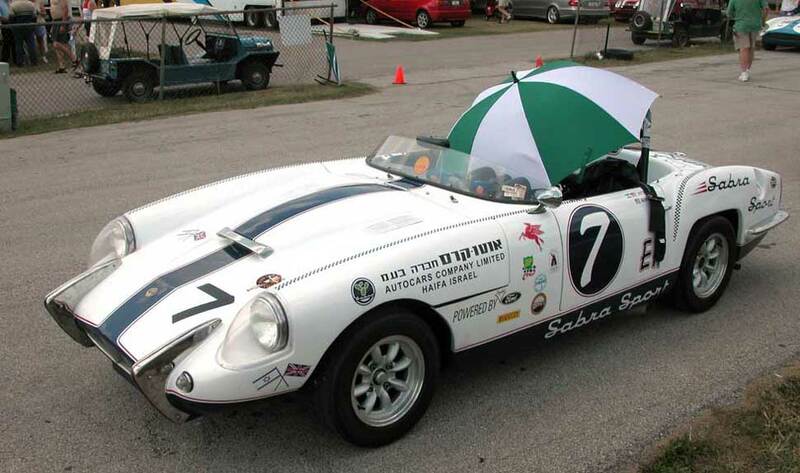 The first Sabra Sport I ever saw was this racing car at the 2005 Brian Redman International Challenge Vintage Race weekend at Road America. You’re looking at a Sabra Sport Roadster, the only sports car ever conceived of and actually produced in Israel. Autocars, based in Haifa, Israel was started by Itzhak Shubinsky in the late 1950s. Shubinsky wanted to produce domestic cars for Israelis, cars to compete with imports that were not subject to high Israeli import tax rates, he also wanted to tap into the North American market. By the early 60s, he had his sights set on creating a sports car. 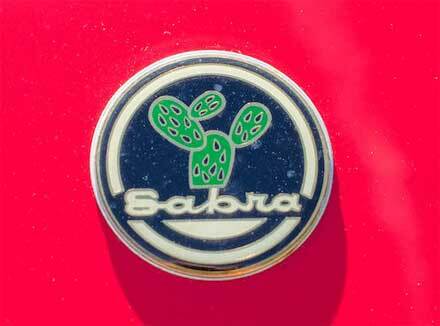 The Sabra Sport hood badge (photo courtesy Bonhams Auctions). The word ‘Sabra’ refers to a Jew born in Isreal, a native Israeli. It also happens to be the word for cactus, which explains the car’s hood badge / logo. Shubinsky’s Autocars secured rights to a fiberglass roadster body from Ashley Engineering in the UK. Ashley had made a name for themselves by creating and marketing alternative, aerodynamic fiberglass body panels for Austin Healy Sprites and MG Midgets in the 1960s. Shubinsky found a suitable chassis for his Sabra through L.M.B. Components Ltd., also UK based. While he wanted to sell to the domestic Israeli market, he also wanted to tap into the biggest sports car market of the time, the United States, and he did so when he brought a prototype of his new roadster to the New York Auto Show in 1961. Early Sabra Sport tail lights (production through August 1963) were sourced from Alfa Romeo. In 1961, delays in setting up the Autocars factory in Haifa, caused the first batch of 100 Sabras to be assembled by British automobile manufacturer Reliant, the company that created the Reliant Scimitar and later the three-wheeled Reliant Regal, in the UK. These first 100 cars were all destined for the United States. Power for the Sabra came from a Ford Consul sourced 1.7 liter 4 cylinder engine that produced approximately 61 horsepower. Interestingly, one of these first 100 Sabras in the U.S. was entered in the GT2 class at the 12 Hours of Sebring in 1963. That year the Sebring grid was full of Ferrari GTOs and SWB Berlinettas, lightweight E Type Jags as well as smaller displacement Porsches, MGs, Morgans, Sunbeams and the like, one wonders how the Sabra kept up. Ultimately it was retired with drive shaft failure and didn’t complete the race. I’m not sure if the white car that was at Road America in 2005 is this same car, I don’t believe it is. The Sebring car was painted red for the race in 1963, but it’s not impossible that it could be the same car. 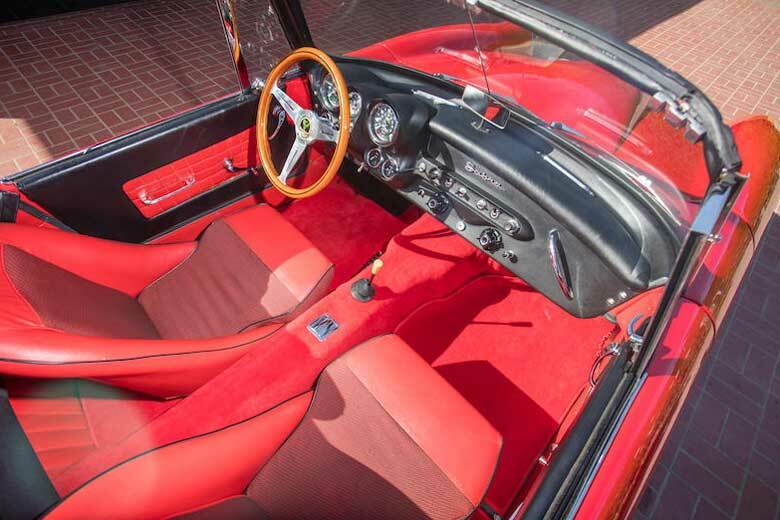 Sabra Sport interior looks like a fairly typical 1960s sports car (photo courtesy Bonhams Auctions). After the first 100 cars, production was successfully shifted to Haifa, Israel where Sabra Sports were built until production ceased with the start of the 6 Day War in June 1967. Total Sabra Sport production is believed to be 379 units which includes some Sabra GTs (Sport Coupes). 144 cars are believed to have been exported to the United States while Belgium received 81 cars. One wonders how a country like Belgium would have an appetite for 20% of total Sabra production. My guess is that there was a busy entrepreneur in Belgium who was responsible marketing and selling them as fast as he could get his hands on them. 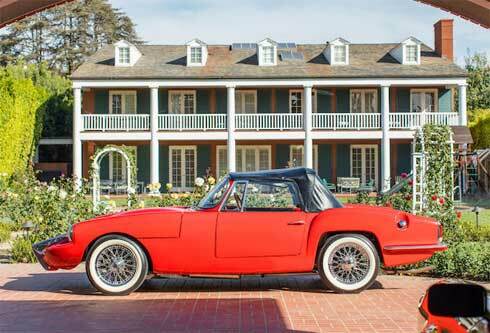 Side view of the Sabra Sport with soft top fixed (photo courtesy Bonhams Auctions). Today, there are over 100 Sabras still known to exist. 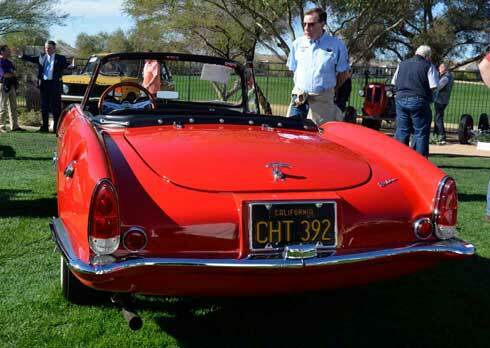 The red one pictured here is a 1962 model, Chassis no. S200100, which may make it the 100th car produced of the first production run in the UK. This car was sold for $40,700 at Bonhams’ Scottsdale sale in January 2018. According to Bonhams’ auction catalog this car was imported to a Florida Sabra dealer and never sold or driven, just stored away for 40+ years. In the early 2000s it underwent a complete restoration and was subsequently showed at a variety of AACA events winning an AACA Senior, AACA Grand National Award, and AACA National Award and AACA Senior Grand National Award. It still has less than 700 miles on its odometer. 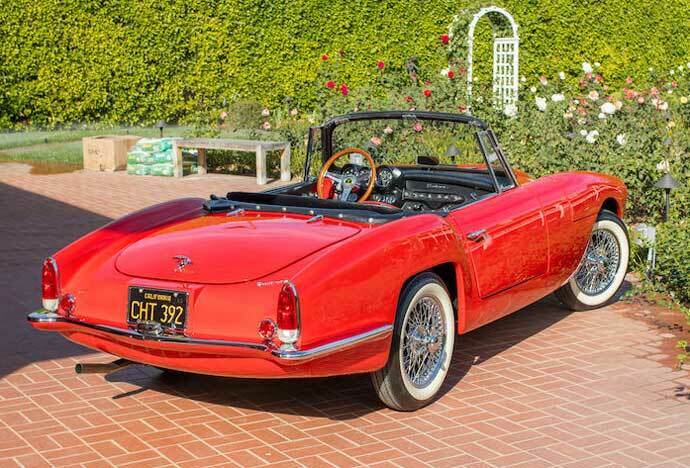 Sabra styling can be polarizing, the view from the rear quarter may be one of the prettiest angles of the car (Photo courtesy Bonhams Auctions). 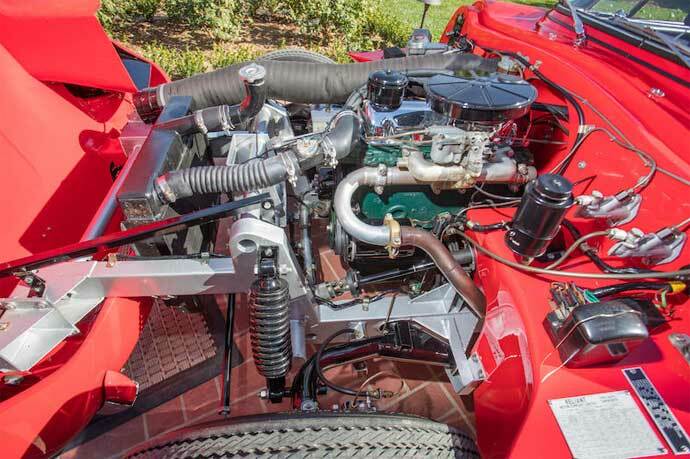 The Sabra Sport had a 1.7 liter Ford Consul sourced 4 cylinder engine producing 61 HP, note front hinged hood (photo courtesy Bonhmas Auctions). My friend purchased a Sabra around 1979 in the Chicago area. IT was a basket case with no motor but otherwise complete. We fooled with it a bit but being recent college grads and just starting careers we didn’t have the time or money to restore the car and sold it.